Now that we have said goodbye to 2018, it’s time to look forward to what the new year will bring. With the start of 2019 the perfect time to redecorate your home, it’s a good idea to look at the new trends sweeping the nation. After all, a lot of old trends from last year have been swept under the carpet. Luxury will be big again this year when it comes to decorating. In fact, here are the top 5 luxury interior design trends that will kick start 2019 with a bang. Nothing says luxury than gold. The grand colour will arrive in homes across the country as the trend comes into form during 2019. It’s easy to add a touch of gold to your property to give it a luxury feel. You could opt for a wallpaper which has gold tones. You could also paint a feature wall gold in your living room or bedroom to help it stand out. Furniture is also a good way of adding gold to your room and you could for instance, opt for a gold chair to put in your home. A grand gold chair in your living room or bedroom will be a key piece in the room and will draw attention. You can also add gold accents in the rooms in your home. For instance, you could go for gold frames for pictures of art and photographs you want to hang in your home. One metal which is on trend this new year is brass. It’s the perfect way to kick off 2019 as it gives off a luxurious feel. There are many ways you can add it to your interior design. For starters, you could use the popular metal in your kitchen. Replace the cabinet door handles with the brass and opt for a sink in the material to get your home on trend. You can also opt for brass in your dining room too when doing a spot of interior design. You can design the room with a table which has brass details or chairs with brass legs. It’s also a good idea to add the material to your living room. You could get stools in brass or even lighting such as a chandelier which will help the room to look classy and expensive. You should also decorate your house ready for the trends of 2019 by adding floral. They really are at the top of the trends for the new year. As it says on Elle Decor, it’s the traditional beauty of floral patterns which will be the pattern to use. You can add floral when decorating by choosing fabrics with a floral design. These would look lovely as cushion covers that you can scatter on your sofas, on the bed or even on your kitchen or dining table chairs. You can also add throw overs in floral fabrics which will help your room to look on-trend. 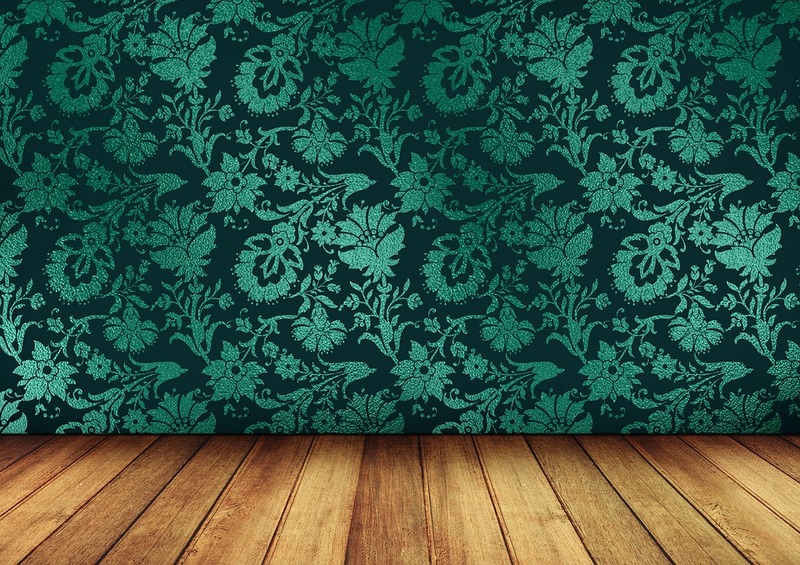 Floral wallpapers are an excellent choice and the perfect way to make a statement. They help the room to look expensive and luxurious if you opt for a beautiful floral print. You can also choose floral wallpaper for the living room or bedroom. Statement ceilings have been gathering momentum in the interior design world over the past year. And they really go on-trend for 2019. They give a luxurious feel as it’s normally grand houses that have paintings and patterns on their ceilings. And it helps to make the most of a space which is often left plain. Choose a design which will catch people’s eye and make sure it fits well with the rest of the decor. You might paint a certain colour or pattern that will look beautiful in the room. And you can add cool lighting which will also help to boost the appeal of your ceiling. Kick starting the year 2019 with a bold statement, black is definitely back and on-trend in the interior design world. Black is great for creating a luxurious and expensive feel in the rooms in your home. And it will be a talking point when guest’s come for a visit. You can add matte black to your home on the floor or even by opting for black lighting fixtures. And going for black furniture will also cause a stir in your property. While you are opting for this dark colour, do team it with on-trend gold to give your room a touch of colour.